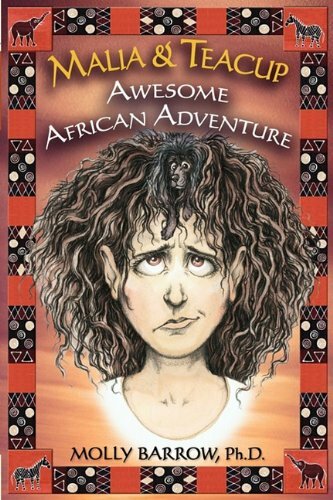 HomePosts Tagged "Dr. Molly Barrows"
Dr. Molly Barrow holds a Ph.D. in clinical psychology and is the author of Malia and Teacup Awesome African Adventure and Malia and Teacup Out on a Limb—an adventure series for ages 9 and up. Bianca Schulze: You have a Ph.D. in clinical psychology and have worked in a private practice for over 20 years as a licensed mental health counselor and educator, at what point did you decide to add “writer” to your resume? Dr. Molly Barrow: I have always enjoyed writing poetry and keeping a journal, but it was working on my doctoral dissertation that gave me the discipline to become a serious storyteller. I began by writing screenplays because I have the ability to see a film plot unfold in my mind. I wrote the Malia & Teacup books in screenplay form initially. As I am writing, I am laughing aloud and delighting in the awkward situations that I place my characters. Sometimes as I am writing, the plot shifts because the characters seem to take me in a new direction, a phenomenon that I do not completely understand, but enjoy immensely when it happens. Psychological Armor for Kids: How can an adventure book empower children and make them safer?